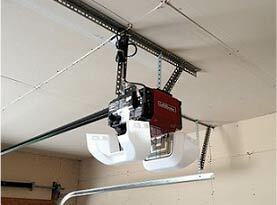 It is important to make sure your garage door is in good working shape. The door is a great addition to a home that allows you more opportunity to get in and out of the house. Many people choose to have their cars parked in the garage which means their vehicle is protected and kept out of the elements. It will also let you gain access to your car without having to leave the house and go out in the open. The garage has many moving parts and the door itself is quite heavy and is being moved by a complex mechanical system. If something happens to go wrong with the door it could fall and that could cause damage to your property or even injure a person. There are some main parts to the movement of the door that needs to be maintained and repaired when there is a problem. One part that you should be aware of are the springs. Your door has two large springs that need to be in good condition and not show any signs of damage. 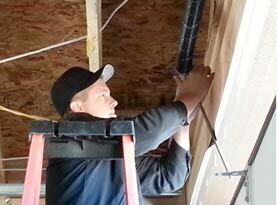 A big question that many homeowners have is if the spring breaks do you need to replace them both? What Happens when a Garage Door Spring Breaks? : Anything that is being used and is part of a moving component can and will likely break over time. When it comes to your garage door springs they have a life span. The life span is usually on the paperwork when you purchase new springs. The first thing that you need to know is how many cycles your springs are supposed to be able to handle. The springs usually have about 10,000 cycles before they are worn out. The length of time that your springs will last depends on how often you actually use your garage door. The spring can break after it has been overused. The other reason that some springs end up breaking is when they are not protected. The springs are made from metal that can start to rust if they are exposed to too much moisture. If you start to notice any rust forming you want to make sure that they are cleaned and protected or replaced because they can become damaged. Do You Need to Replace Both Springs? 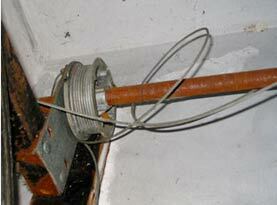 : One of the main questions that garage door repair companies get is do you need to replace both of the springs. You might go out and your spring has separated or it has stretched out. You might realize that only one of the springs has actually been effected so do you need to replace them both. The fact is that if you are in a position that a single spring has been damaged you still need to replace them both. They both are exposed to the same amount of moisture as well as being used the same amount of times. Just because one broke sooner than the other does not mean that the other one is not about to go. The other problem is that the springs should be about the same tension and that is only accomplished when you have springs that are the same age. Who Should Do the Garage Door Spring Replacement? : If you have a damaged spring on your garage door you want to make sure that you call out a professional. The door is very heavy and if the springs are not attached and secured properly they can cause the door to fall. 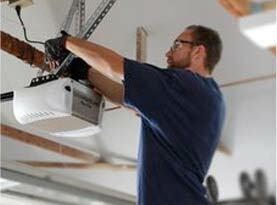 You want to make sure that a professional does all the work and is experienced in garage door repairs. Garage Door Spring Spring Repair, Replacement & More in Summerlin, North LV, Henderson, Enterprise, Paradise, Sunrise Manor, Spring Valley, Anthem, Desert Shores, Green Valley Ranch, Inspirada, Mountain’s Edge, Peccole Ranch, Providence, Rhodes Ranch, Seven Hills, Silverado Ranch, The Lakes & Las Vegas Nevada. United Garage Door Repair of North Las Vegas can come out and replace your garage door springs as well as provide any other garage door services you need. Call us today to have a technician sent out to your house.